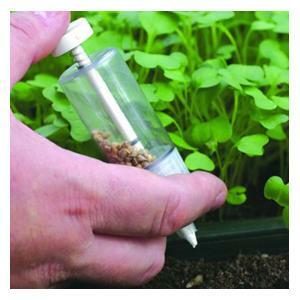 The Magic Seeder seed dispenser is designed especially for planting small flower and vegetable seeds, ideal for pots and plug trays with a thumb pressure control for accurate planting. We managed to use the Magic Seeder last Wednesday 20th of March at gardening club. We did a gardening session inside because of the weather. The result was fantastic! We planted lots of flower seeds in trays, eight different varieties, to get them ready for our school baskets and the Magic Seeder works very well, in particular with small seeds. The small seeds are very difficult to manage by young children and it is good that at the end of the activity the small seeds left are inside the magic seeder tube so we can recover those not planted. Very good gadget for the little gardener?s finger and no seed?s waste! The children from Follifoot C of E Primary School said: Magic Seeder is so much fun!! 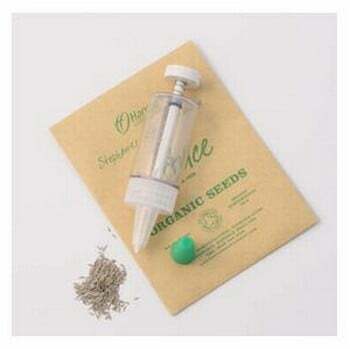 Very helpful for planting seeds. Seeds get stuck in the nozzle. Small seeds come out too quickly.